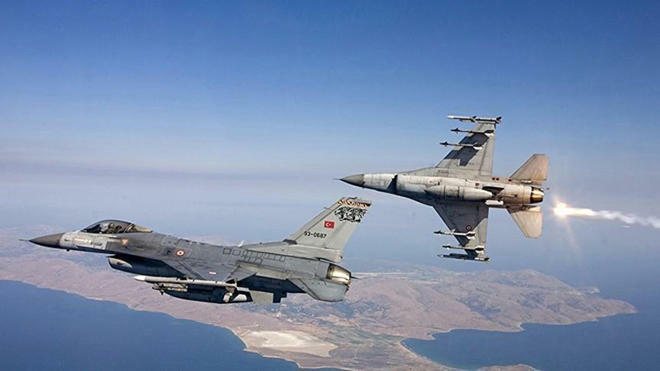 ISTANBUL: Turkish warplanes destroyed at least 18 targets belonging to the outlawed Kurdistan Workers Party (PKK) in northern Iraq over the weekend, the state-run Anadolu news agency said on Sunday. The strikes, carried out on Saturday and Sunday, targeted the Hakurk, Zap, Metina, Gara and Avasin-Basyan regions of northern Iraq, Anadolu said, citing the Turkish military. Turkey regularly carries out airstrikes against PKK targets in northern Iraq, where the group is based in the Qandil mountains. US support for the YPG in the fight against Islamic State in Syria has strained ties between Ankara and Washington, both members of the NATO military alliance.